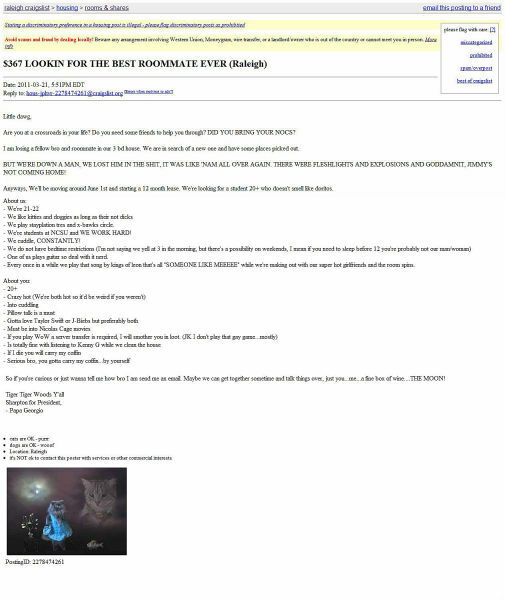 Whether or not this Craigslist post was real is entirely beside the point, because the author of this little gem is a genius. IZI, LOSE THE ANNOYING SOUND ADS, ARRRGHHH!!! !